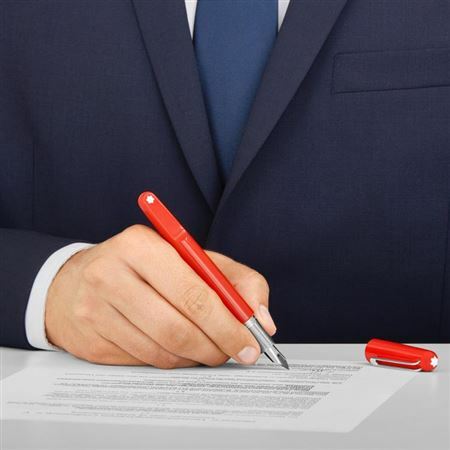 Order your Montblanc M Red - Fountain Pen today from FahrneysPens.com. Fine Pens, Refills & Luxurious Gifts – great prices & fast shipping. 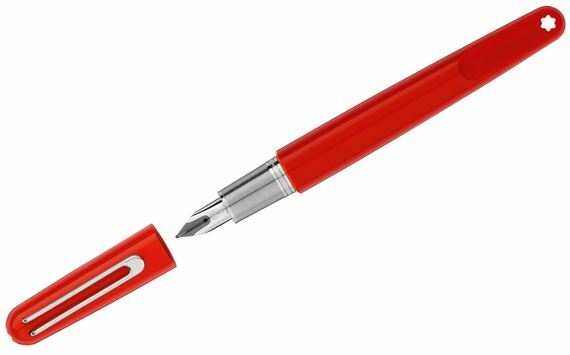 In partnership with Marc Newson, we introduce (Montblanc M) RED, designed to support (RED)’s fight to end AIDS. Every item purchased from the (Montblanc M) RED writing instrument collection will contribute to the Global Fund to support HIV/AIDS programs, which helps prevent HIV+ mothers from passing the virus to their babies. 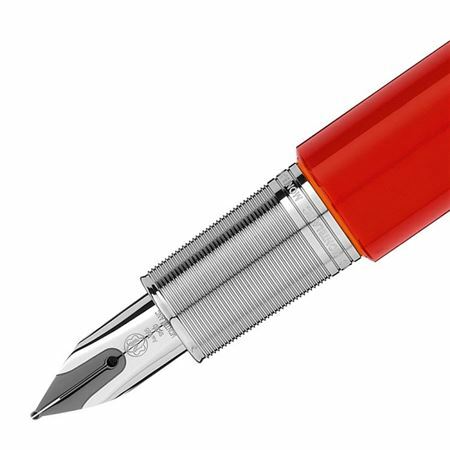 Made of red precious resin, handpicked by Marc Newson, the writing instrument’s fluid lines flow gently into one another. Featuring a magnetic cap closure with alignment of cap to barrel (including snap mechanism). Fills with cartridges only. Also available in rollerball and ballpen. Barrel: Red Precious resin inlaid with Montblanc emblem on "plateau"